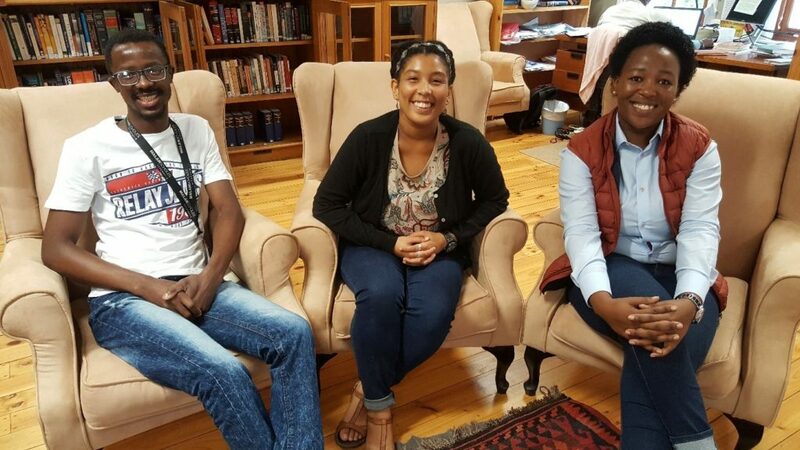 Three students joined the South African Research Chair in Property Law in 2018. Adv Lerato Ngwenyama (left), Miss Charissa Barden (centre) student and Dr Mpho Tlale (right). Advocate Lerato Ngwenyama obtained his LLB degree at the University of Venda in 2014. He received an award as a distinguished scholar at the University of Venda for outstanding scholastic achievement in 2014. He completed his LLM in Commercial law at the University of Johannesburg in 2015 under the supervision of Professor Charl Hugo. The research was entitled: “The impact of section 34 of the Constitution of the Republic of South Africa, 1996 on Banking law”. Advocate Ngwenyama is currently pursuing his LLD degree in Property law entitled: A common standard of habitability? A comparison between tenants, usufructuaries and occupiers in South Africa, under the supervision of Professor ZT Boggenpoel. Dr. Mpho Tlale is a post-doctoral research fellow and joined the Chair in February 2018. She holds an LL.B degree from the National University of Lesotho. In 2014, she completed her LL.M in Estate Law under the supervision of Professor GJ Pienaar (North West University, Potchefstroom Campus). Dr Tlale subsequently completed her LLD, also under the supervision of Professor Gerrit Pienaar, with the thesis entitled “A Critical Evaluation of the South African Land Tenure Policy: a Comparison with Selected Aspects of Kenyan and Tanzanian Law.” Dr. Tlale’s fields of interests are women’s marginalisation in land, land tenure security and the institution of traditional leadership.